The Converse Blog: The Converse Blog: Jameer Nelson Media Day! 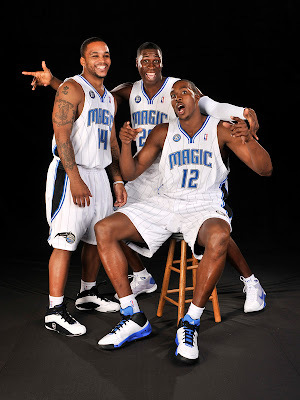 I love media day(s) in the NBA. 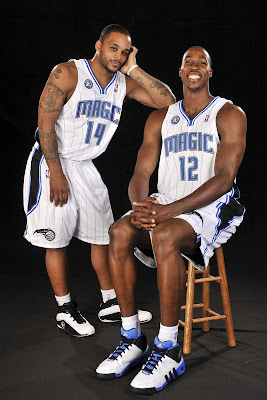 New players in new Jerseys and you get to see whose switched shoe companies. Only a few pictures have released so far, but already things aren't looking so good. It looks like Kevin Love is with Adidas and I haven't seen any new players wearing Converse. Granted things can change, especially since the talk around this years group of rookies is that there just isn't as much money going around for endorsement contracts. To me this seemed like a perfect opportunity for a company like Converse to sign up a bunch of rookies for cheap and take their chances that some of them will turn into stars. Oh well, so far the only Converse I've seen has been on Converse players we already knew about. 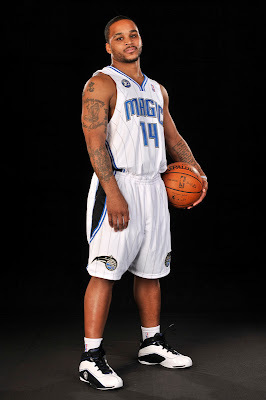 Like Jameer Nelson pictured below. He's rocking the new Converse assist, a team shoe from Converse. The assist will provide the most options for Player Exclusive combinations that you'll see on the courts of the NBA. I can't tell for sure if these are PE's for Jameer or just the general release of the assist, but I would expect some nice combos for all of the NBA guys. Well that's it for today, I hope to have more pics from NBA media day(s) up soon. Don't forget to vote in the poll on your way out and thanks for stopping in to check out the Converse Blog. Are Jameer's shoes black or dark blue?